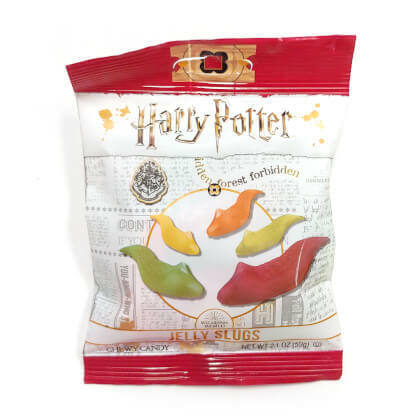 Harry Potter jelly slugs. Gummi candy slugs in banana, pear, sour cherry, tangerine and watermelon. 2.1 oz bag. Made is USA. OU Kosher.